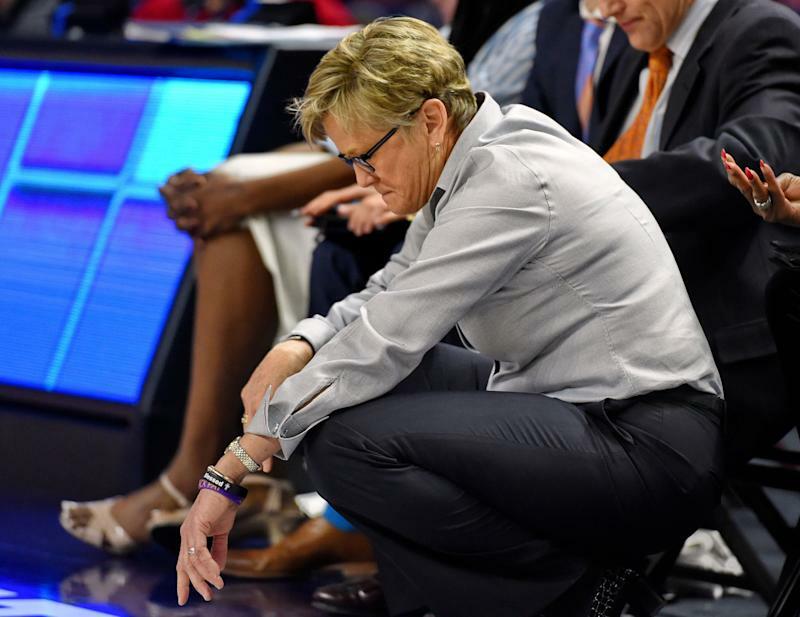 Tennessee’s 38th consecutive appearance in the NCAA Tournament was short-lived after an opening-round loss to UCLA on Saturday, and questions are abound regarding the state of the once-historic program and the state of its head coach, Holly Warlick. The 11th-seeded Lady Volunteers fell 89-77 to the Bruins, marking just the second time in the last 10 years they have not advanced past the first round. This time around, Warlick, who wrapped up her seventh year at the helm, has her job on the line and may not have the support of her players. “Steps needs to be taken with our staff and just overall for this team,” Westbrook also said. The Lady Vols finished the season 7-9 in conference play and just snuck into the NCAA Tournament as an at-large bid after falling to Mississippi State in the second round of the SEC Tournament. "Do I want to continue coaching? Yes," Warlick said to reporters. "But if it needs to go in a different direction, that's not up to me." The pressure on Warlick has ramped up, coinciding with the gradual decline of the program under her tenure. While she still led the team to the postseason, expectations are obviously much higher for a program that was once perennially among the elites in women’s college basketball.